A hairy tale indeed… Monat got hit with a defective products class action lawsuit this week, alleging the company misrepresents its hair products as being safe and able to aid in the regrowth of hair, when rather, they cause irritation and hair loss. Something lost in translation, maybe? 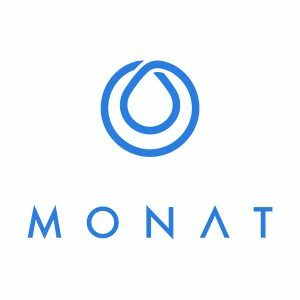 The Monat complaint also states that the products allegedly contain sulfates and petrochemicals, despite advertising the products as being free of such substances. Got an exploding pressure cooker? Read on. A proposed class action settlement has been preliminarily approved potentially ending allegations against Tristar Products, Inc. (“Defendant”) that certain models of its pressure cookers are defective. According to the lawsuit, certain models of Tristar pressure cookers may have defects including, 1) suddenly releasing steam while being opened; 2) the lid may be removed while still under pressure; 3) the pressure relief valve may inaccurately indicate pressure levels; 4) a faulty gasket may allow the lid to open despite pressure build up; 5) the unit may not seal properly; and/or 6) the pressure cooker can develop pressure when the lid is partially or improperly closed. Plaintiffs claim that the alleged defects diminish the original purchase price value and as a result class members may be entitled to a credit on their original purchase. Class Members include those who purchased, for personal use and not for resale, certain pressure cookers between March 1, 2013 and January 19, 2018. A complete list of the pressure cookers at issue is on the detailed notice found on the website. Settlement Class Members who timely submit a completed claim form and verify that they have watched, or read a transcript of, a safety video will be eligible for a $72.50 credit redeemable towards one of the following products, subject to availability and possible substitution: 1) Power Cooker, a 10 qt. pressure cooker – Model No. PC-WAL4; 2) Power Air Fryer XL, a 5.3 qt. air fryer – Model No. AF-530; or 3) Copper Chef XL Precision Induction Cooktop Set, consisting of induction cooktop, 11″ deep dish casserole pan with glass lid, fry basket, steam rack, 10″ round pan with glass lid, and recipe book. Valid Class Members will also be eligible for a free one-year warranty extension for the pressure cooker they currently own. Visit the website for complete information on benefits. The Court will hold a Fairness Hearing on July 12, 2018 to decide whether to approve the settlement among other things. Real payday for 3,800 plaintiffs… in a consumer financial fraud class action lawsuit against MoneyLion of Virginia LLC. They will receive refunds and debt forgiveness, following the announcement of a settlement with the defendant, earlier this week.